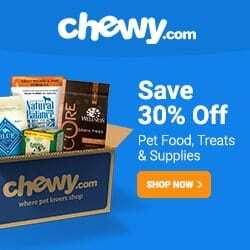 Home Reviews Whole Paws Dog Food Reviews: Is It Really Worth Getting? Feeding your dog the best dog food available is of utmost priority if you want it to grow and develop into the canine that it was meant to be. However, with so many dog food brands in the market, it has become really hard to tell which of these is of high quality and brings the best bang for our buck in this situation. To help you with this ordeal, we have made it our mission to bring to you all the necessary information to decide which the best dog food for your pooch is. Today, we will be diving deep and learning everything we can about the Whole Paws Dog Food, and if the great value it offers comes with great benefits or some serious let-downs. Just What Is Whole Paws? 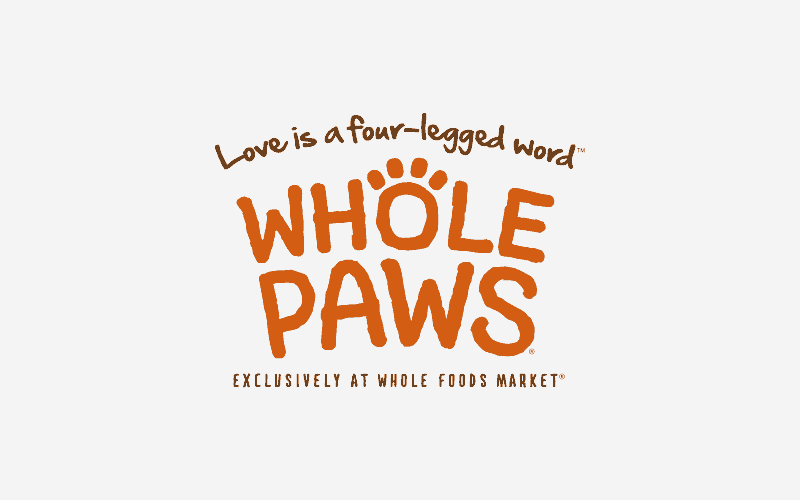 Whole Paws is one of the most recent pet food brands in the market, its product line being released back in 2013 under Whole Foods. 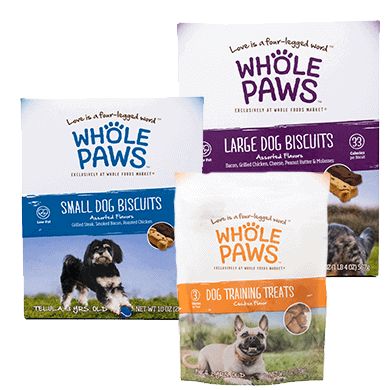 Whole Paws has made its mission to become the most widely accessible and equally high-quality pet food available in the market. They make use of whole foods as its key ingredients to provide your pets the richest and nutrient-packed diets all at an affordable price. While this sounds all fine and dandy, what can we expect to get from using Whole Paws and feeding it to our doggies? One great benefit of using Whole Paws is the use of whole meat in their dog food, making it very beneficial for your dog to eat. Whole meats are the richest and nutrient dense types of meat you will ever find, and combining that level of health benefits will work wonders for your dog. It is very high in protein will also mean that your dog will become very strong and the food will support his growth and development. This is the closest you will be able to get to meet your dog’s most natural diet from way back when they were still living in the wild. Your dog is designed to live outside and hunt to get its food. But now that they have become house pets, this means that their diets have also been heavily altered. With the benefit of whole meat, you will be able to provide and cater to your dog’s unique and natural way of eating. Even after cross-examination with other reviews, you will find that almost all dogs that have been introduced to this dog food can’t get enough of it. The taste and consistency just resonate with the dog and means that your pooch will be eating well and healthy as they will be getting all the nutrients that they need. Dogs love it as well not just because of how delicious one flavor is, but all of the other flavors that you can choose from for your pooch to enjoy. From chicken, beef, and all the way to turkey – they offer several different varieties and mixes that your dog is sure to enjoy. Another great thing about this is how sustainable it can be as it isn’t as burdensome as some premium dog food brands available in the market today. Due to its affordability, you will have no problem buying this dog food for your pooch to enjoy endlessly. Heck, you could even cycle and try out new and different flavors for your pooch to try out and see how well he takes to liking the new treats! All of these three things are what make this Whole Paws Dog Food Review very promising, as the benefits come in great numbers and will help provide you a great option when it comes to giving your pooch affordable premium dog food. However, we should also take into mind the things Whole Paws DOESN’T have – if by any means this hinders you from getting it. Many of its dog foods feature rice, which is a grain that is never intended for your pooch and which could also lead to some complications down the line. While it has no wheat, corn, or soy – the addition of brown rice may upset not only you but also your dog’s stomach. So, refrain from using if rice is a determining factor that hinders your dog from getting the fullest benefits. Some dogs are very sensitive to which Whole Paws does not cater to as their product line does not offer any allergy-safe products for your pet. So if your dog is quite sensitive to certain allergens, then it is in your safest bet to refrain from using the product to keep your pooch’s health and well-being in check. 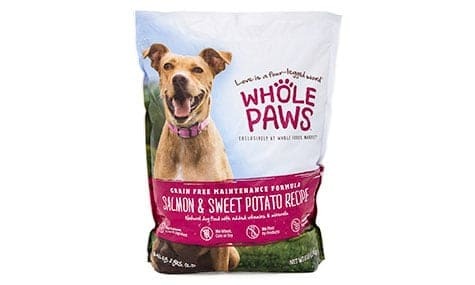 If you are looking for something that is completely free of any added chemical compound in the production process that has any potential risk, then you may want to look at different products because Whole Paws does not feature that whatsoever. Although, in exchange for something more natural there will be an increase in price so do tread lightly. If you are looking for something on the affordable side that can offer something healthy in the process, then this might be the best choice for you. However, if your pockets aren’t in too much of a bunch, then you might want to opt for something more natural and more beneficial for your dog. Previous articleNatures Logic Dog Food Reviews: What Makes This Dog Food Stand Out? Next articleAll About Metacam: How Long Does Metacam Stay in a Dog’s System?